manufacturing efficiency and customer service. 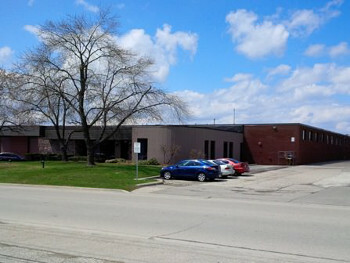 Gandy Digital Ontario FacilityCanadian based Gandy Digital, a manufacturer of digital inkjet large format printers, have moved its manufacturing and product development facilities to a new, purpose built 40,000 sq ft facility in Ontario, Canada. The new state-of-the-art plant has been designed to provide increased production flexibility, efficiency and automation, for the continued supply of the company’s products and customer service. Situated close to Toronto in the town of Mississauga, the new Gandy Digital manufacturing and assembly operation boasts a fully automated digital product feed system, hi-tech product design and test laboratories and comprehensive customer training and demonstration facilities. It was designed to have a very low environmental impact, and incorporates a paperless ‘digital’ workflow to significantly improve internal communications and production information. Hary Gandy, CEO, Gandy Digital commented: “Our new facility is the embodiment of our company vision and mission. With high quality customer service as the focus for everything we do, we have designed our new plant to not only drive production efficiencies and reduce costs, but to also provide an environment where design creativity could be maximized. Gandy Digital highlighted the fact that the new facility includes a product feed system which supplies live information for every stage of manufacturing, enabling the business to closely monitor production progress, with stock inventory and other vital information also available at the touch of a button. The new hi-tech product design and test laboratories have also been designed to provide the best possible environment for refining and evolving existing products, developing new innovations and creating custom solutions for specific customer requirements. In addition to customer training and global sales and service facilities, the new plant also features a fully equipped demo room. This capability allows customers to test and evaluate Gandy Digital printers using their own files and substrates. The purpose here is to allow customers and potential clients the opportunity to gain a full understanding of the additional value and high print quality achievable from a Gandy Digital printer. The Gandy Digital product portfolio consists of a range of UV inkjet printers, offering flatbed or flatbed with a roll-to-roll capability, including Pred8tor, Domin8tor, Viper and Sl8te, which cover a variety of product options for producing rigid and flexible applications for indoor and outdoor use. Gandy concluded: “With over 35 years of digital printing technology and more than 2000 products installed around the world, we are proud to have been, consistently, at the forefront of the large format market. Irish Flag banned in Florida.